Who says melted swiss cheese is best on a rueben? In my cheesy opinion, swiss is not given enough credit, especially good quality swiss cheese. It’s both sharp and sweet and melts beautifully on breads, meats and potatoes. 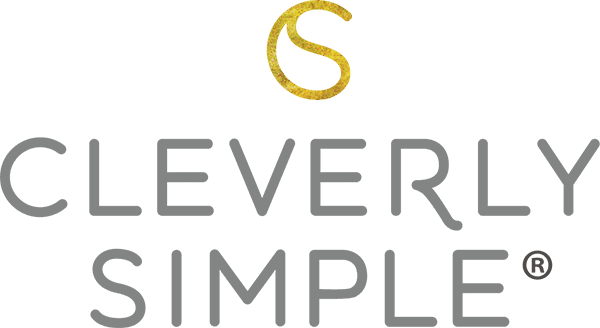 Swiss cheese was created in Emmental, Switzerland umpteen years ago, but just about everyone now recognizes the pale yellow cheese with its infamous holes. 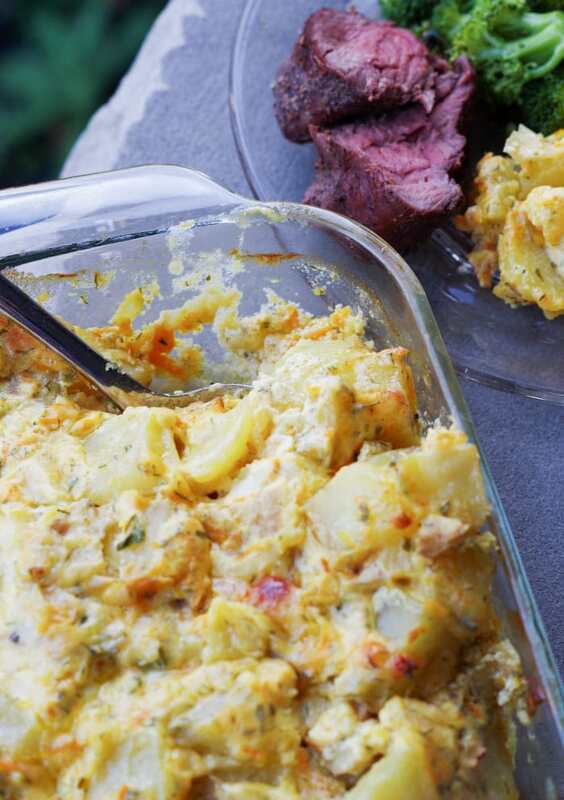 With the cooler temperatures of autumn, it’s time to turn on the oven for some fantastic homemade real potato casserole made with…yep, swiss cheese! This is not your conventional Easter side dish loaded with butter, canned soup and chips. 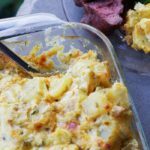 Don’t get me wrong, I enjoy that rich cheesy potato casserole every once in awhile, but this recipe is different. Fresh, not frozen skin on gold potatoes take center stage. 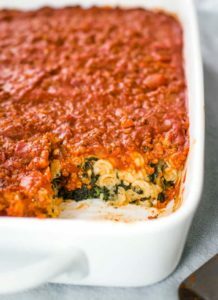 Other colorful ingredients like fresh carrots and parsley are added along with some smoked paprika, garlic and sour cream for that richness we love. 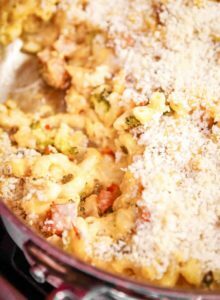 A hearty helping of grated swiss cheese mixed in and you’ve got a simple, made from scratch casserole that serves as a wonderful side dish. 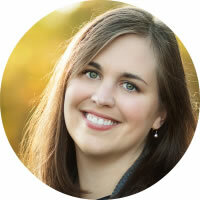 Are you ready to make some swiss easy cheese potato casserole with me? FYI: The quantity of ingredients for this recipe makes a smaller casserole. If you desire a 13×9 size, double all of the ingredients. Start by boiling 2 pounds of yellow potatoes in salted water. That’s about 6 medium. Boil the potatoes for 15 minutes. We want them fork tender, but not mushy. 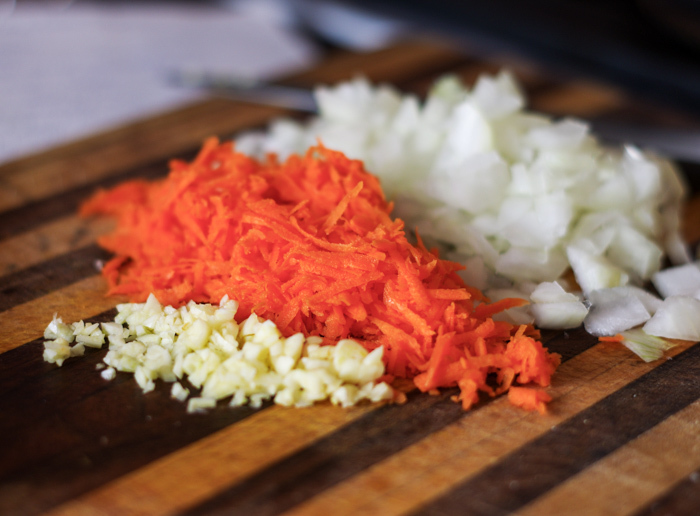 Meanwhile, chop 1/2 cup onion, 1/3 cup shredded carrot and mince 2 large garlic cloves. 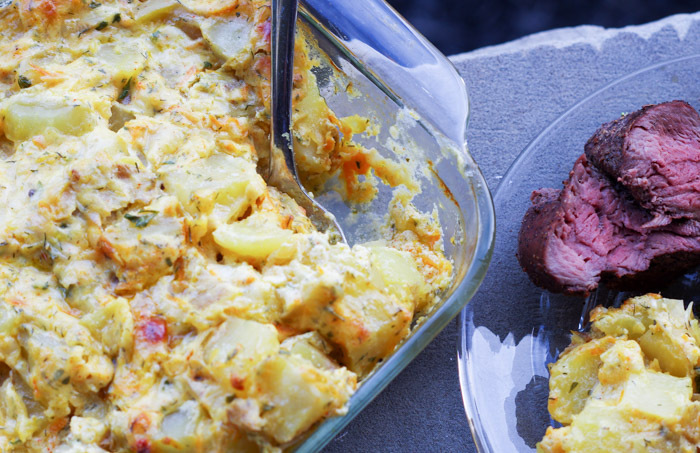 Carrots in a potato casserole? Yep, those two root vegetables are made for each other. Using a large pan, saute the veggies in 2 T. of butter until they are fragrant and translucent. Your kitchen will smell wonderful already! Drain your potatoes and chunk them up. Careful, they will be hot potatoes! Add them to your pan of veggies. From here on out, we will add everything to this pan so there are less dishes to clean (whoohoo! ), but turn off the heat. We don’t want our potatoes to cook anymore. Now for the swiss cheese! 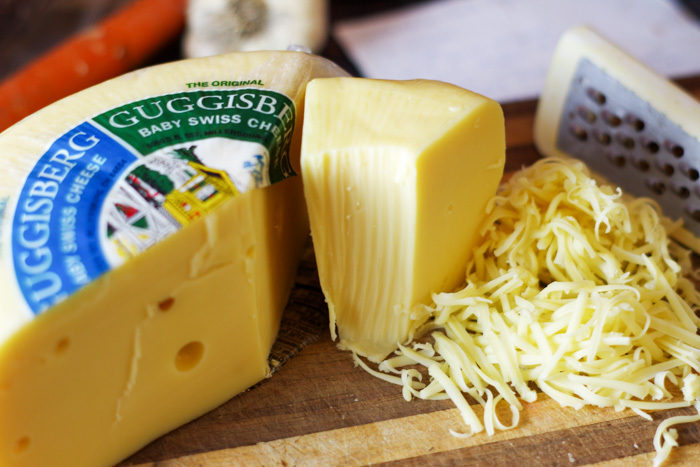 If you can, get hold of a high quality cheese like Guggisberg here. Look for blocks, wedges, or wheels, rather than slices. You might pay a little more for quality, but it is worth it my friend! 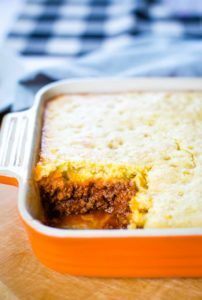 Grate 1 1/2 cups of cheese and add it to your pan. Remember how I said this recipe doesn’t have any canned soups involved? 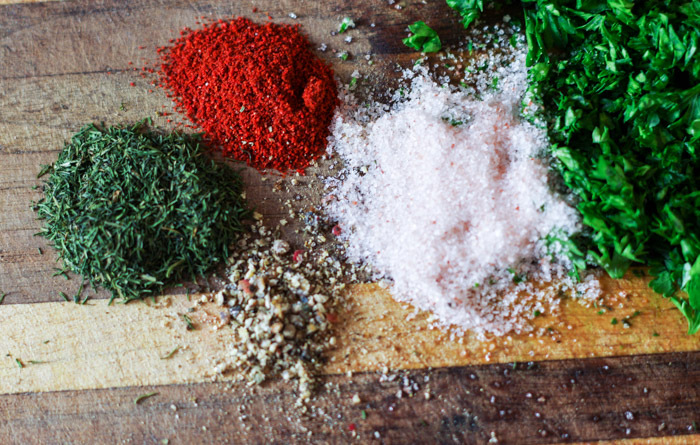 Only fresh ingredients and spices. Gather 2 T. fresh chopped parsley, 1 tsp. salt, 1/4 tsp. smoked paprika , 1/2 tsp. dried dill and a generous amount of cracked black pepper. Mix them into our pan along with 1 1/2 cups of sour cream. 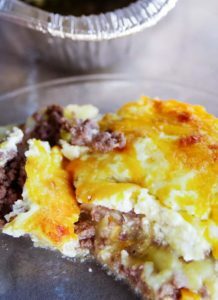 Pour the creamy potatoes into a buttered 2 quart casserole dish. Bake at 350 degrees to 45 minutes or until bubbly and the top begins to brown. Scoop out a hearty serving and enjoy next to your favorite meat or vegetable. All I can say is…thank you people of Emmental, Switzerland! 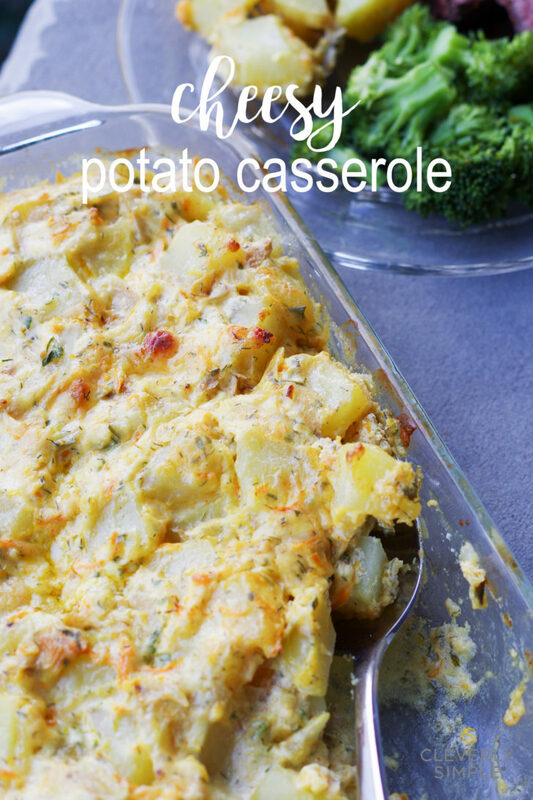 Easy cheesy potato casserole made with sliced real potatoes and spices. No canned soup! 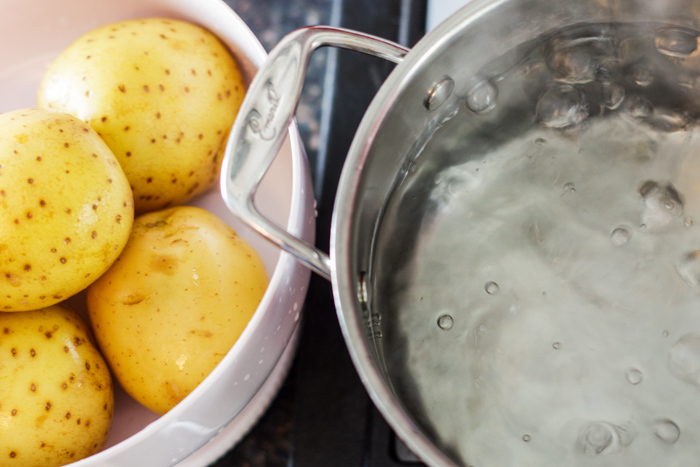 Boil 2 pounds of yellow potatoes in salted water for 15 minutes. 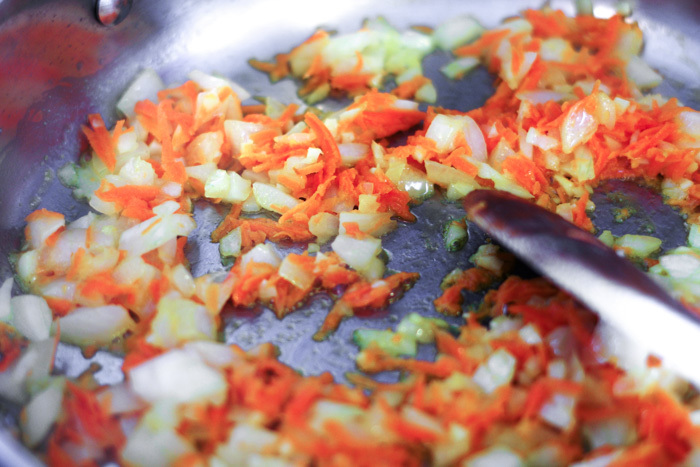 Meanwhile, chop 1/2 cup onion, shred 1/3 cup carrot and mince 2 large garlic cloves. In a large pan, saute the veggies in 2 T. of butter until they are fragrant and translucent. 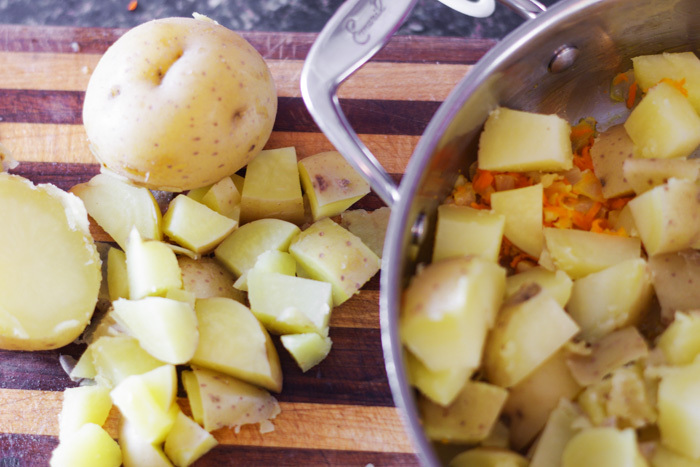 Drain the potatoes, chunk them up and add them to the pan with the veggies. Turn off the heat. Grate 1 1/2 cups of high quality swiss cheese and add it to the pan. Add 2 T. fresh chopped parsley, 1 tsp. salt, 1/4 tsp. smoked paprika, 1/2 tsp. 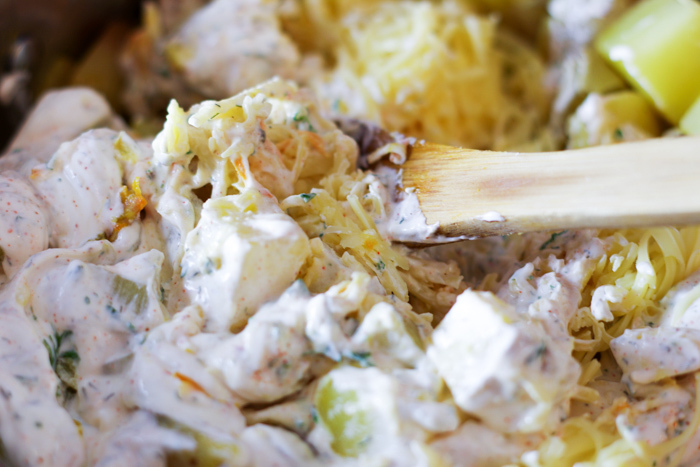 dried dill, generous amount of cracked black pepper and 1 1/2 cups of sour cream. Stir it all together and spread into a buttered 2 quart casserole dish. Bake at 350 degrees for 45 minutes or until bubbly and the top begins to brown. This looks AMAZING!! I love the added dill! What a perfect comfort meal for this wall and upcoming winter season! Yeah for swiss cheese!! I would really love to try this, it looks so tempting. It will go perfect with a roasted chicken recipe that I love to make for one of my family diners. Roasted chicken WOULD go great with this. You had me at cheese. These look so cheesy and yummy.